Hi. I have been tasked to figure out if this is possible. When an SO comes through and one or more items on it will be fulfilled by a third party vendor, we would like the BCC line on the email generated by the report to have that 3rd party 's email. But only on orders that include the 3rd party vendor's items. When they place the order some of the materials will be coming from here but some will be from the other vendor. Is this even possible or do we need to use versioning or manually add the address into the BCC line. We are trying to automate it so Acu sees one of the items on the order and it adds the BCC address. There are two ways to do this: the "new way" in Acumatica 2018 R1 and the "old way" before Acumatica 2018 R1. Which Acumatica version are you on? Sorry, one more question. 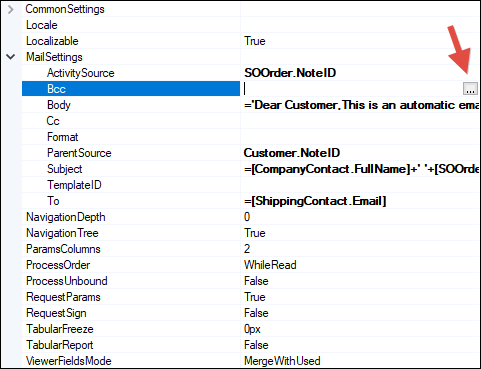 Are you going to manually send the email with the SEND button located directly above the Sales Order report? Or are you wanting the system to send the email automatically? We use the Send Button. I was on the wrong track with the "old way" vs. "new way" thing. But I think you already knew that now that I'm noticing you posted this in the Report Designer forum. But it's going to take some work to figure out the formula. I think the first place to start is to figure out how you'll get the vendor information. Are you linking the Sales Order Line to a Purchase Order Line directly or are you looking up the Vendor based on the Item Inventory ID? 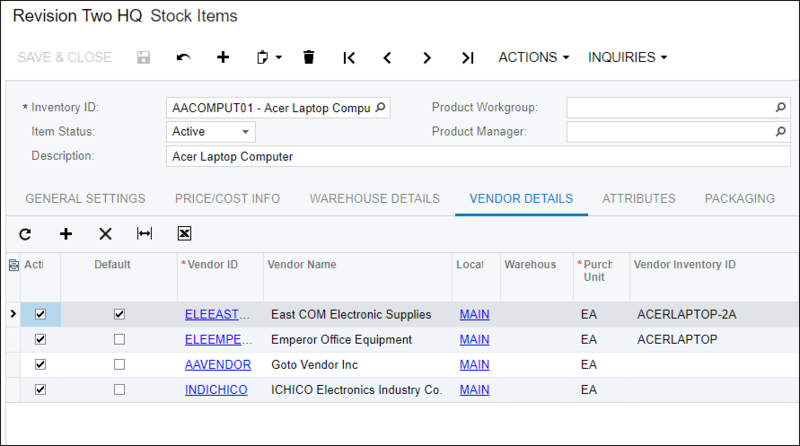 Then, if you are looking up the Vendor using the Item Inventory ID, is it possible that multiple Vendors are listed on the VENDOR DETAILS tab of the Stock Items (IN202500) screen (see screenshot below)?